Check out Facebook posts, catch up on tweets, texts and email as well as play music using the newly designed Samsung Gear S3 Classic Smartwatch complete with black leather strap. From the moment I opened the package I could tell the gear s3 was going to be fantastic - even the box looked quality rather than the flimsy cardboard things you normally get. Mine came with 2 sizes of black leather strap, presumably intended for male and female buyers. The larger of the 2 was fitted already but it was simple enough to switch over using the little built in clasps. The watch itself feels well made and of a high quality without being too bulky or heavy. It was easy to connect my Sony smartphone within minutes and I changed the pre loaded watch face to a photo from my phone, a feature I love about this watch! The apps are simple and useful, the notifications subtle (an orange dot where the "9" would normally be on the watch face) and the battery lasts me nearly a week between charges (although I do switch it off at night) . The rotating outer rim to switch through relevant screens is a great design feature, and adds to the pleasing aesthetics of the product. I cannot recommend this watch highly enough, I've even bought a new Samsung phone to go with it as I was so impressed with the Samsung quality. THE best Android smart watch on the market right now! Absolutely stunned by this watch. I had previously bought (and quickly sold) a Sony Smart watch and the Gear S3 has blown that out of the water. Impressively well made, the bezel control is intuitive and simple. Apps work flawlessly as does interaction with my Samsung S7 Edge phone. The Gear S3 also impresses when compared to the Apple Watch. Overall, extremely happy with this and would recommend it to ANY android user. 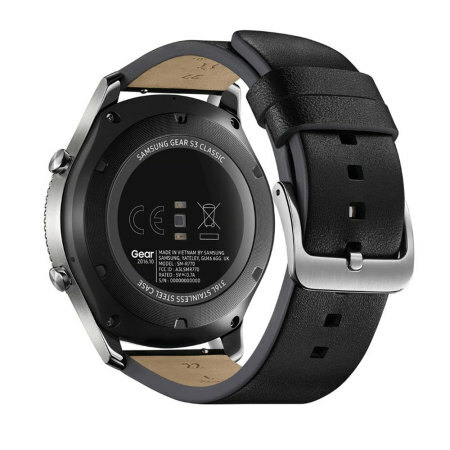 THE best Android smart watch on the market right now! The Samsung Gear S3 Classic smartwatch is a beautifully designed watch that's as clever on the inside as it is in looks on the outside. smartwatch enthusiasts. A variety of digital watch faces can be downloaded with many of them being free. Some of the features are a Bluetooth and Wi-fi connections to your mobile phone or other devices, which expands the range of features the watch has onboard. Messages can be read with a reply sent and calls can be answered through the watch itself with ease through the speaker & microphone. Built in GPS will keep track of your activities so you can leave your phone somewhere safe while you run, climb, cycle or even go for a swim as it's waterproof. One app that's free and made for the Gear S3 is the SHealth app. Various features of the app will help you maintain or attain a fitter you. 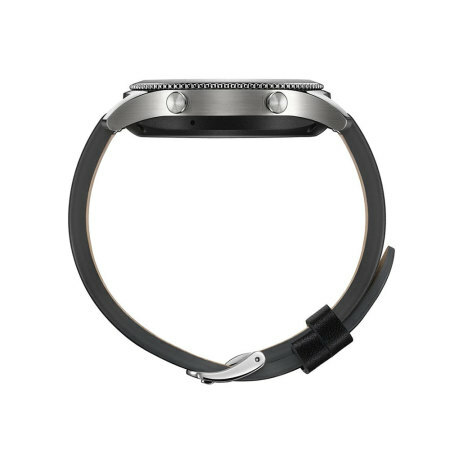 The S3 comes with two different sized watch straps which will fit the watch itself to any wrist size within reason. Using the features on the watch are easy to get to grips with as the controls are only two buttons and the bezel itself. Battery life is excellent as with average use you should have up to four days worth of power. With 4GB of Flash memory to store any music with or opt for something a little different, I love to to listen to audio books. One drawback is that some people find the size of the watch face is a little large but if it was any smaller one would have to take more time to focus on the screen and it might also be a disadvantage to those of us who wear glasses or contact lenses. 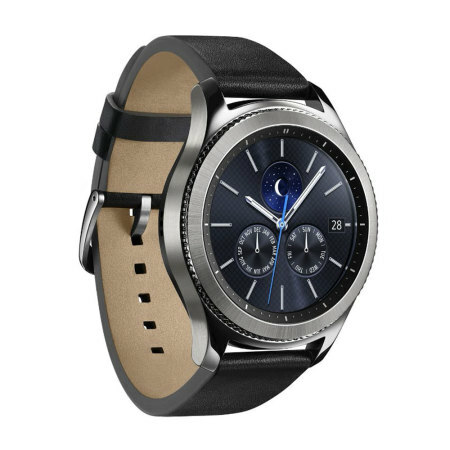 Overall this Samsung Gear S3 Classic is a fantastic watch with amazing tech and oodles of features and apps to keep the majority of smartwatch fanciers extra happy. When you receive a text message, phone call, email or other notification - you can view these all on your watch without the need to take the phone out of your pocket or bag. 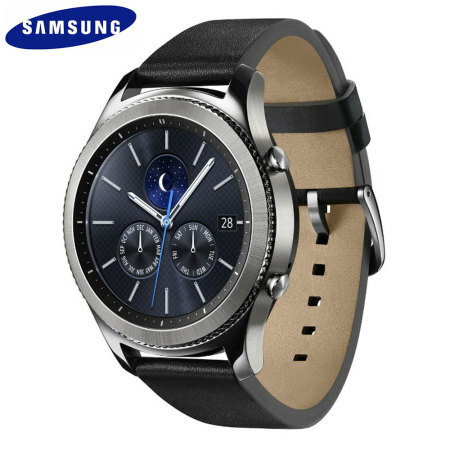 This is great as you don't need to scramble for your phone on each and every occasion it makes a sound or vibrates, simply look at the Samsung Gear S3 Smartwatch on your wrist and decide whether further action is needed. The Samsung Gear S3 features built-in GPS, so your activities can be tracked by location even when you don't have your phone with you. This is ideal for running and jogging, so you can leave your smartphone at home and still track the route you have taken. Although featuring a high quality full colour touchscreen, the Samsung Gear S3 Smartwatch also utilises a bezel that can be easily rotated to navigate the options on the screen. 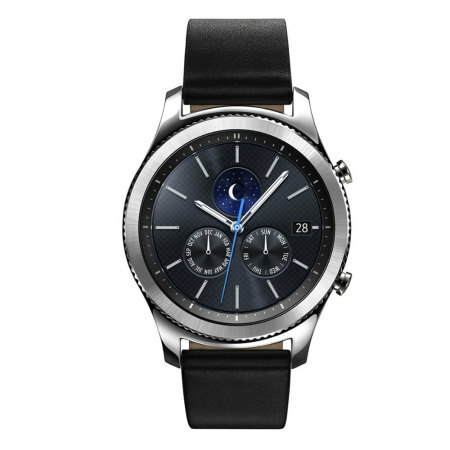 The latest S Voice technology means your Gear S3 understands your voice and lets you stay in control using voice commands, as well as turning dictated notes into text. The Samsung Gear S3 is ready to capture important movement and health information. This is ideal for tracking your runs, jogs, walks and other activities. Missed an important call or SMS because you couldn’t hear or find your phone at the bottom of your handbag or pocket? With the Gear S3 Classic, this is now a thing of the past. Using Bluetooth technology, the watch displays the caller ID and vibrates as your phone is ringing or when you receive an SMS. This can truly be a life saver, ensuring you are always in contact with the ones you love and care about the most. Totally dust tight and protected against water submersion, the Samsung Gear S3 Classic is ready for action no matter where you are. With an IP68 rating, the Samsung Galaxy Gear S3 is your trusty companion. The strap for the Samsung Gear S3 is adjustable, so you can alter the sizing of it to suit your wrist comfortably.